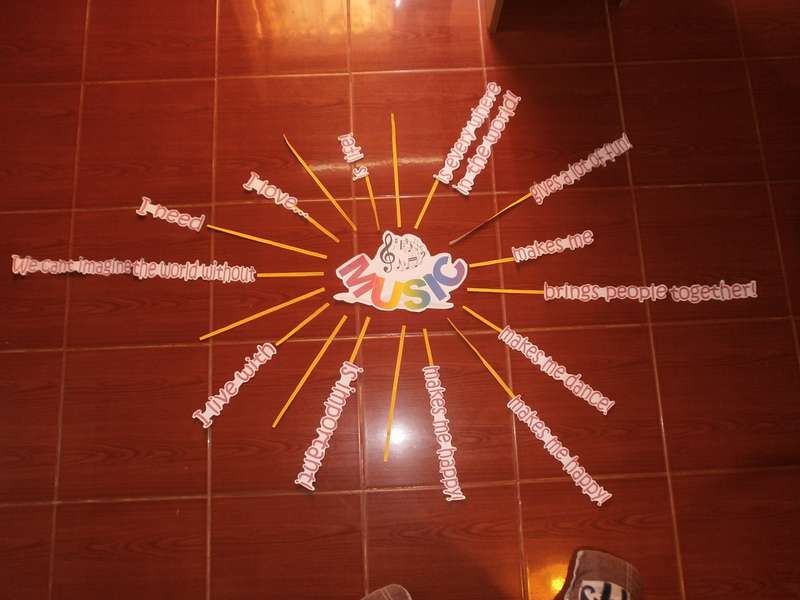 MES staffs and the director are really curious what music means to our students and people in the world, so we label the word “MUSIC” with some our ideas and leave some gaps for everyone else’s idea. 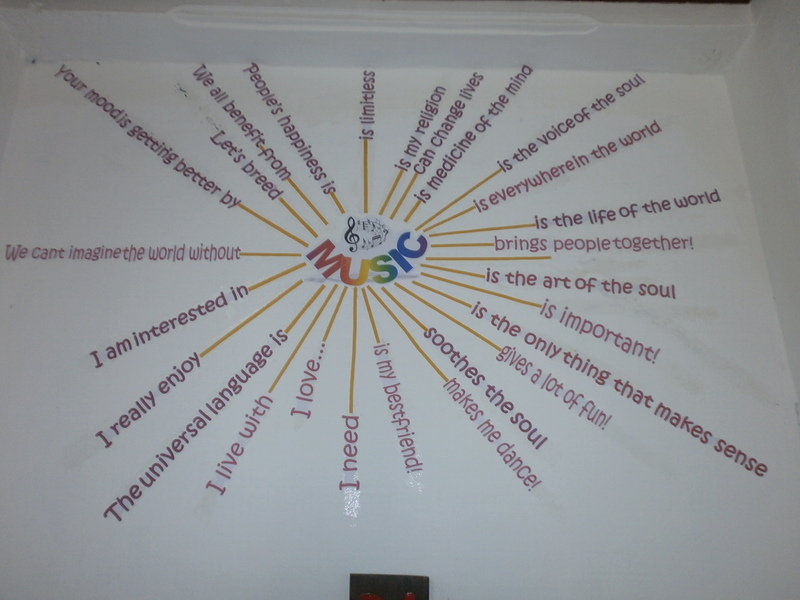 The MUSIC poster is not only the decoration but very meaningful and other students can learn what music is. 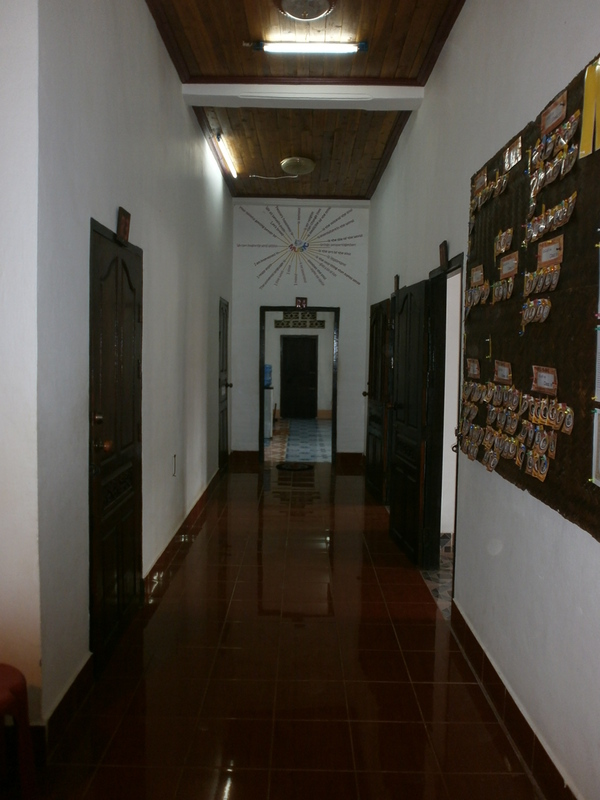 MES was quite busy during last week, new students were attending their classes and some foreigners were visiting us. We had a couple from Germany,Wolfgang Hering and Brigtte Schane-Hen. 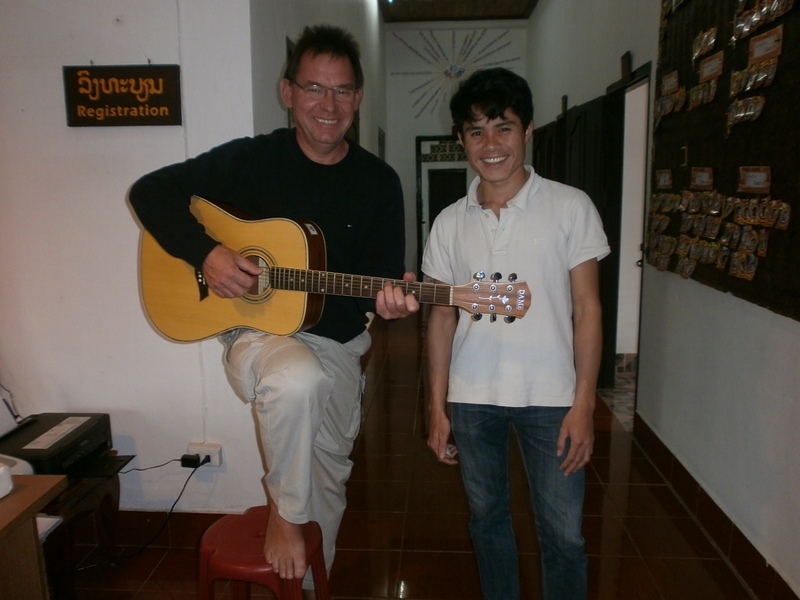 Wolfgang Hering is not only good at playing guitar but a composer and he’s been playing guitar for several years. Alice Edwards also stopped at MES while she was walking past, she is from the UK, but at the moment she is teaching basic guitar in Thailand.